This morning my toe is still purple, but the swelling has somewhat subsided. This is not the first time my toe has been purple. 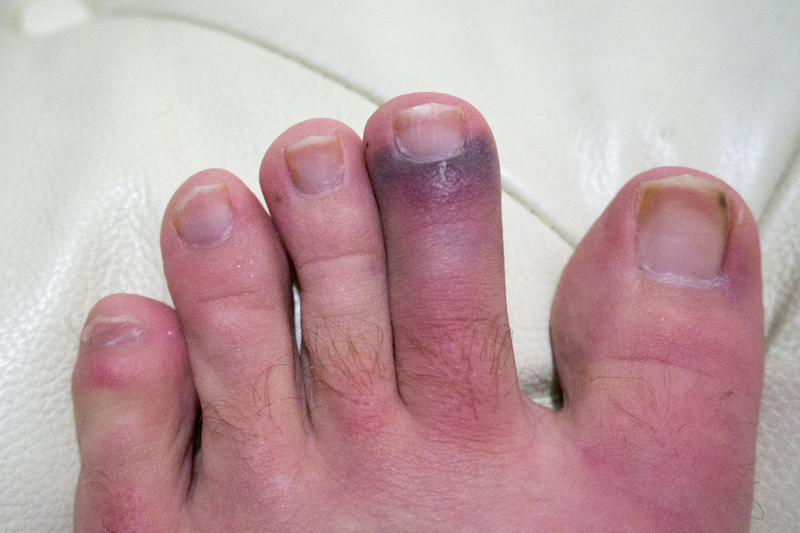 I spent last summer with a purple toe on the other foot after walking right into a dock cleat. You’d think that would have taught me a lesson to either wear shoes or watch where I’m walking. Once again we were docking, once again I was barefoot, and once again I was rushing to grab a line. However, this time I was on the boat, so I wasn’t worried about dock cleats. Instead I walked right into a block for the jib sheet. This time the lesson is learned. Watch your toes while sailing!